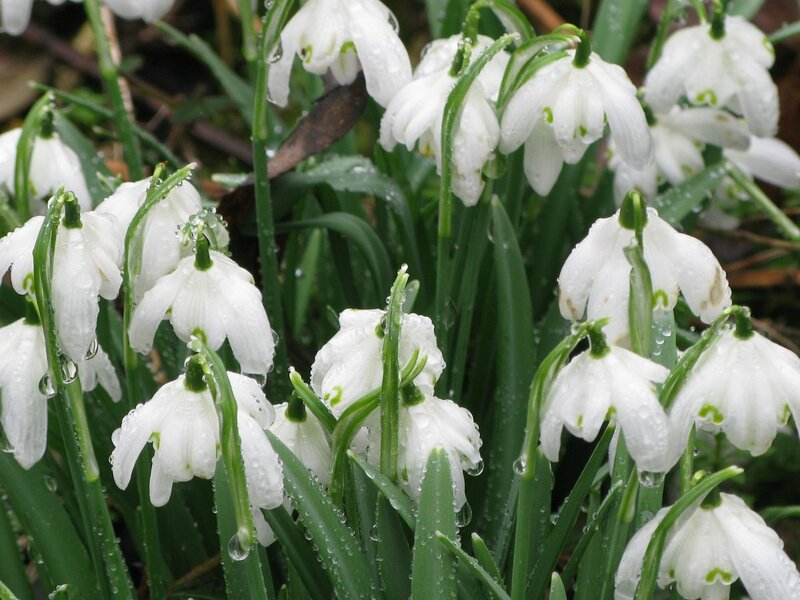 Moggerhanger Park has a fine collection of naturalised snowdrops in its areas of woodland. Last year I was able to capture a photo of these beautiful flowers liberally coated with raindrops. See some other image posts (scroll down when the page loads).